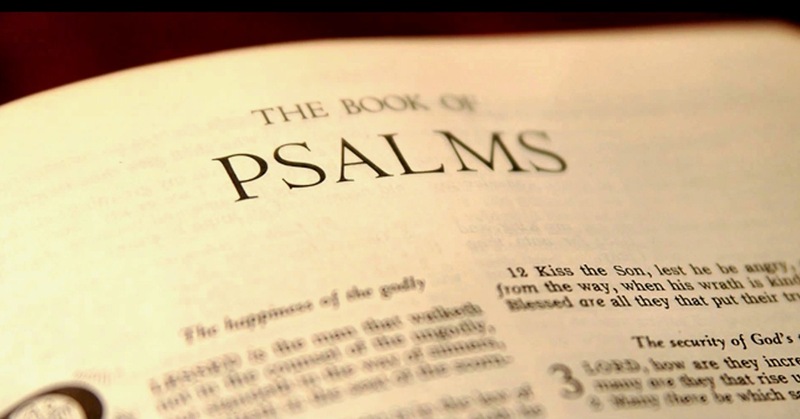 New Psalm readings available each month: Listen to the playlist here or listen to them individually. In this excerpt from the preface to the Psalm in the early editions of Martin Luther’s Bible, (tr. by sir G. Duckett) ed. by T.A. Readwin (1863) we hear Luther talk of the Psalms syaing, "For the heart of man is like a ship upon a troubled ocean, driven about by winds from every corner of the earth. Care and fear, under the apprehension of impending evils, impel it one way; grief and fear, under the influence of present distress, impel it another; hope and presumption, and the prospect of future prosperity, another; the actual possession of prosperity and the breezes of security and of pleasure, another. But these tempests of the heart induce us to hold the language of earnestness, and to examine the bearings and the recesses of the soul. For he who is weighed down by fear and poverty speaks of misfortunes in a very different way from him who basks in the sunshine of prosperity; and he who is elated by prosperity speaks and sings of joys in a totally different strain from him who lives under the trammels of fear. It has been well said that it comes not from the heart when a wretched man is to laugh, and a happy man is to weep; the avenues to his heart are closed, and the whole effect is disappointment. And there is also this advantage, that when we are gratified by the language, and sympathise with it, we are certain of being in the communion of saints; and that all saints must have felt as we feel, because we unite with them in uttering the same song of adoration. Singular ! that the Psalmist should have been able to make them speak in this manner to God, and which must have been the effect of their speaking in faith, because to a person without faith the Psalms are not a source of gratification. Finally, an assurance is given to us, upon which we may confidently rely, that we may without fear and hesitation follow in the footsteps of the good men who have preceded us."